COLERAINE'S HIDDEN GEM! FINISHED TO AN UNRIVALLED SPECIFICATION THESE HOMES BOAST OF TRIPLE GLAZED WINDOWS, SOLID INTERNAL DOORS AND TURN KEY FINISH. MUST BE SEEN TO BE FULLY APPRECIATED. NEW PHASE JUST BEING RELEASED, WITH HIGH DEMAND VIEWING IS A MUST SOONER RATHER THAN LATER. 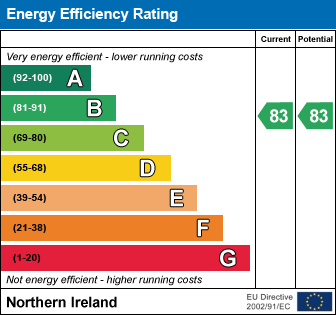 EPC ratings based on previously completed property. I am interested in Semi - Detached, Loguestown Green, Coleraine. Please contact me about this property.